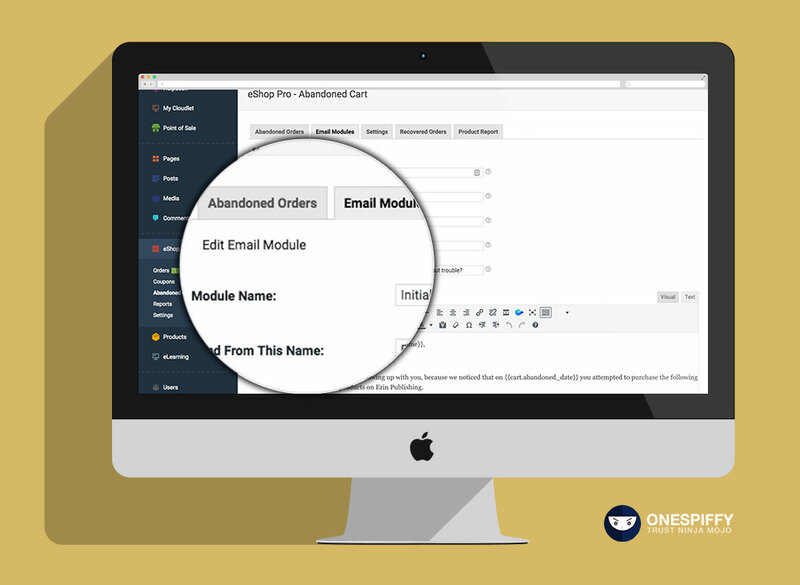 eShop Pro Abandoned Carts Cloudlet App works in the background, sending multiple email reminders to your customers about their abandoned orders – increase Sales and ensure a Relationship with your Clients - no additional cost for amount of reminders sent and gain sales prospectives with every email sent! Mojo-tastic ain't it! eShop Pro Abandoned Carts brings mojo-marketing & user satisfaction to Cloudlets. Think of all the money you’ll gain from users who missed fulfilling their orders due to unforeseen circumstances. Why would a customer abandon their shopping cart? There are multiple reasons for which a Customer may abandon their cart, wouldn't it be nice if you dropped them an email "auto-magically" asking them if the require help. This application captures abandoned carts by your users for tracking and review. Requires eShop Pro. A guest user's cart will be captured on the Checkout page, if it is abandoned after entering the email address.